Here at the Children’s Health Defense, we are struck by the unhealthiness of today’s children. Chronic and often debilitating conditions such as autism, ADHD, allergies, tics and more now affect our nation’s children in alarming, unprecedented numbers. All too often, parents describe their now chronically ill children as having at one time been completely healthy up until something went horribly wrong. The one factor in declining health most frequently cited by the families of these children is the receipt of vaccines, despite the fact that parents are encouraged to accept that the timing of vaccines is merely coincidental to any chronic condition. Given the gravity of the health status of so many children today—over half have a chronic health condition in the US—one would think their stories would be making front page headlines each and every day. In an age where the pharmaceutical industry provides a staggering amount of financial support to media outlets around the world, these stories are not finding their way to the public. 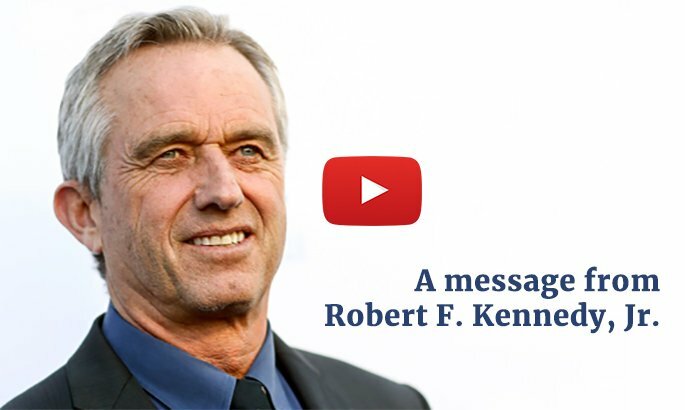 This is why it is crucial that parents are provided a means to ensure that their family’s story of vaccine injury is heard, and the Children’s Health Defense is doing just that with the Campaign to Restore Child Health. We encourage all parents of vaccine-injured children to record and submit their stories so we can present them here.